People are fascinated with 3D-printed food, but the high cost of most printers creates a serious barrier to entry. 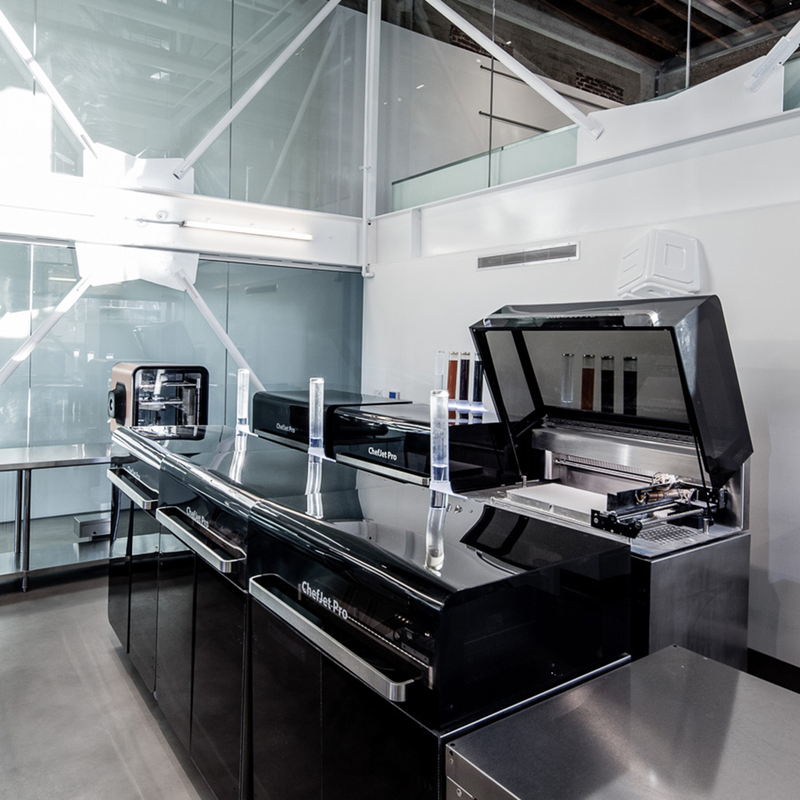 The new 3DS Culinary Lab in Los Angeles, however, is hoping to make the process more accessible. 3D digital design and printing company 3D Systems opened the space to showcase their ChefJet Pro, described by the company as “the first professional grade 3D food printer, empowering the culinary world to achieve unsurpassed levels of artistry and design.” They’re billing this new Culinary Lab as “the world's first 3D printing culinary innovation center” hoping it will become a hub for “chefs, mixologists and culinary innovators” to see a 3D food printer in action and maybe get a chance to play around with it. According to the Los Angeles Times, the lab has about one event scheduled each month, starting with an “exploratory session on sweets” set for December, followed by events on mixology and savory foodstuffs in January and February. Unfortunately, the lab seems to cater mostly to industry types, meaning it’s still probably not the solution for average Joes who want to see what all the 3D food fuss is about. But the stuff the Times was able to try at the grand opening sounds impressive. They got “a French onion soup featuring a 3D printed onion powder cube in a bowl that dissolved as hot oxtail broth was poured over” and "a passionfruit curd dessert garnished with a 3D printed sugar passionfruit flower.” Maybe if more chefs actually see 3D printed foods in action, they’ll be inspired to serve some to the rest of us. Or maybe there’s a back door we can sneak in. A passionfruit flower made by Top Chef winner Mei Lin.